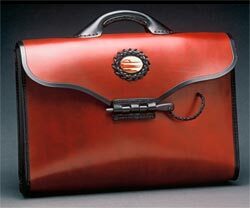 This briefcase is constructed of a single cut of leather which wraps around to form a self-closing flap. 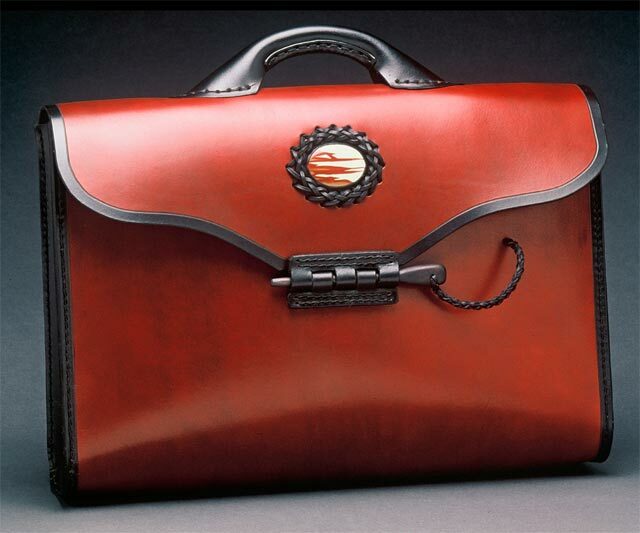 Secured with a leather hinge and a hardwood peg, inside is a large storage compartment plus a legal size pocket. Polished stone set in leather braidwork accents the clean design. Available in: Black, Dark Brown and Cherry Brown, (shown in photo). 3 month advance notice required. Height - 12 in. Width - 18 in. 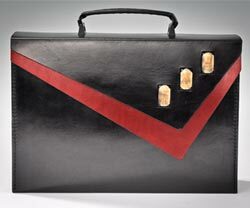 This case is constructed of a single cut of leather wrapped around to form a double self-closing flap with a magnetic clasp. 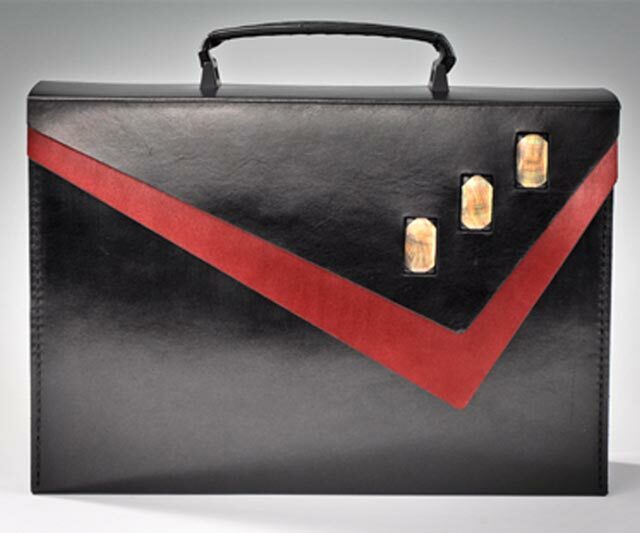 Inside is one large compartment plus 2 legal pockets. Mother-of-Pearl insets accent. Available in the colors shown. 3 month advance order required. Height - 11 in., Width - 17 in.